Charity and colored powders led to $1500 being donated to Doctors Without Borders. Woodland Regional Student Government combined these two concepts and threw them together on Sunday, November 4th for their 5K event called “Color for a Cause,” in which members of the Region 16 community participated. Throughout the 5K, different color powders were thrown all over the runners, leaving them covered in blue, pink, yellow, red, purple, and more. All runners were to asked to wear white in order to make these colors pop, and you are a lucky one if you are not still rubbing the colors off of your body. 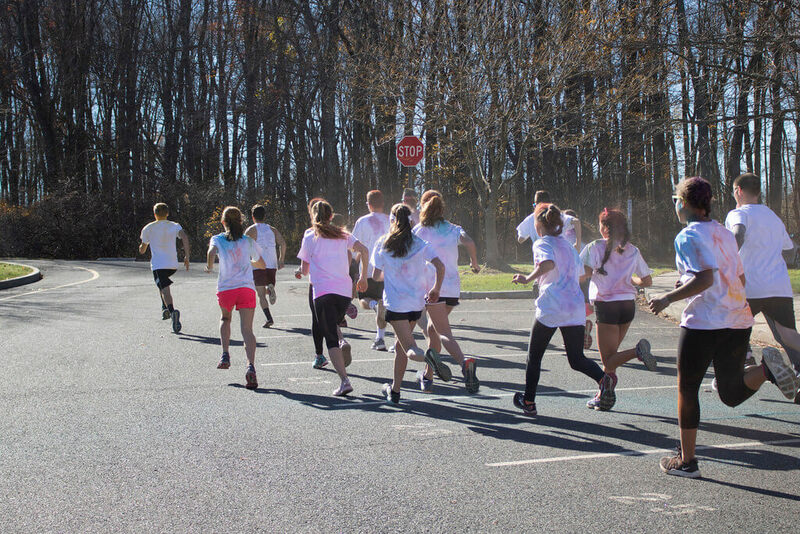 This “Color for a Cause” run was a nonprofit fundraiser for the Student Government, which raised $1500 for the Doctors Without Borders organization, a humanitarian organization that helps people affected by epidemic diseases in other countries. First, Sra. Loren Luddy warmed up the participants with a Zumba dance to be sure they would be ready to take on the 3.1 miles. After a few songs, everybody was prepared to run the course. The run itself was a success on all levels, with people joining in to run and walk. The course was up and down hills around Woodland, making it not an easy one. However, the winners still managed to finish with great times. Greg Aldrich took first for boys, with Kyle Crowell following. Colin Slavin took third. For girls, Jaden Young was the top finisher, Jill Brotherton second, and Megan Sirowich took bronze. As each participant went through the course, student government senators threw different colors of powder on them. With the success of the“Color for a Cause” run, Student Government plans on having even more events like this in the future. Next Story → Spirit Week Preparation: What Goes Into It?